What a journey! 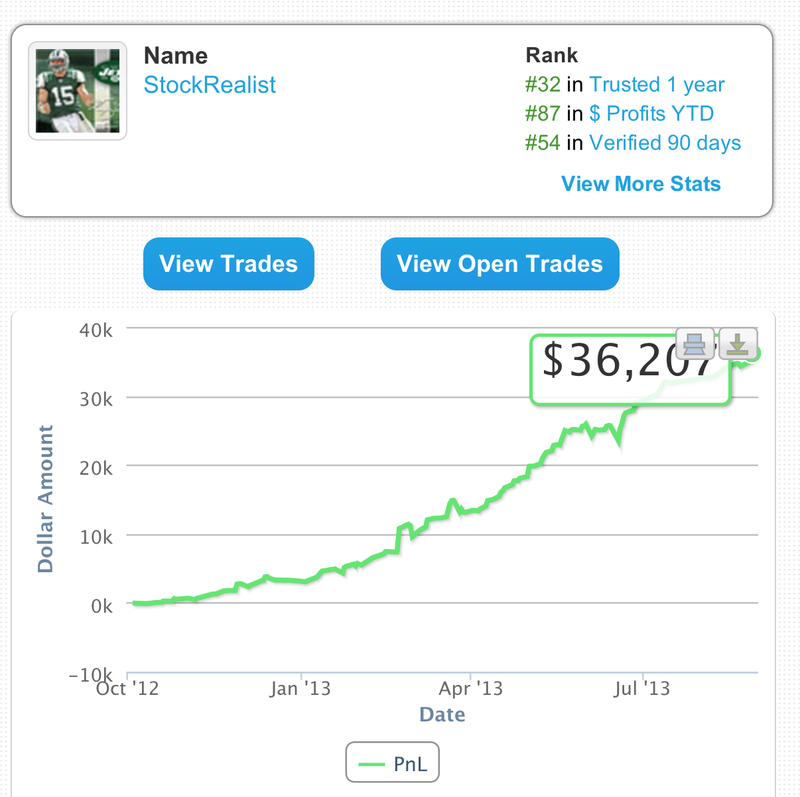 Right now I stand at $35k in trading profits see for yourself here. Not bad, I finally graduate school after this fall semester and I will be able to focus all my attention to my trading finally. I am writing this because it's been awhile since my blogpost "How I have made 10k Shorting Penny Stocks thanks to Tim's Trading Challenge." I have learned a lot and have seen a lot. This blogpost I am going to explain to you the journey that is the Tim Trading Challenge and you'll see for yourself that it's ultimately worth it. Sign up to Profit.ly Follow Me and other Great Penny Stock Traders. This way you can follow what great traders are doing so you can learn some stuff for Free, everyone loves FREE. Get the right Brokers - Tim Challenge will let you know this because its a must! Theres always new brokers coming and going so you got to stay on top of it. However, there are a couple that are consistent and reliable. Read every Seekingalpha report I have written here. Read other reports by others as well exposing penny stock pump and dumps. The more you know the better. I started off the Tim Trading Challenge really conservative. I really took it slow the first couple months while taking everything in. I love Sykes but it was Michael Goode's style of trading I really gravitated towards. His webinars were really hitting home with me. The webinars really pieced it all together for me. Starting 2013 things really started to pick up to me. The 2.50 rule really restricted me from growing my account quickly shorting. This is why Suretrader is recommended with those with small accounts because there is no 2.50 rule. I started an account with 3.5k in May and took money out end of July with 9.9k. Read about that here. Suretrader for a moment didn't allow shorting in stocks under $1 so I took money out. However, they have reestablished shorting of stocks under $1 you just can't hold them overnight. It's still useful because of their borrows and no $2.50 rule. You will learn through the process that this thing is not an exact science. You just got to find out what works for you. For instance Sykes does not like shorting very low priced stocks( under .50) and I understand why. However, its something that works for me because I follow them very closely. I know what promoters and what type plays to short or stay away from. I am not perfect but its something I am comfortable with. I recently just refunded my Suretrader account. I am hoping to repeat my past feat 3.5k to 10k. One time may be lucky but two times will prove its no fluke. After about a year I am at the point where I can really short these big pump and dumps with some size. However, I will probably still trade conservative because thats just how I am. I have no balls lol. I am no Kroyrunner ! So much info could overwhelm people to start out. I believe there should be a beginning crash course for new members who are coming into this with limited knowledge. I'm working on my own service soon so maybe that could be your crash course! Kind of pricey. My success proves its worth it though. To be a successful trader you always have to adapt and learn from past mistakes. I may be doing good but I am far from a great trader. You need to be able to look in the mirror and see what you have to improve upon and work on it. For instance, I tend to cover to early way to many times. Patience is key especially when these things start to dump. I have now been putting price alerts and moving away from the computer when a short goes my way so I am not tempted to cover certain shorts to early. Of course certain trades may be quicker ones so I stay near the computer. Remember its impossible to accomplish perfection in trading so be humble and admit your wrong when a trade goes the other way. Cutting losses quickly is probably the number 1 thing the Trading Challenge will teach you. Do not be a person thats down huge praying and hoping for a comeback. That is a death sentence in the Penny Stock World. My main strength is my knowledge of promoters and their past promotions. This helps me dramatically with position size and when to short. You will realize the more time you put into this the better your performance. Treat this like a job. Enjoy it's the ups and the downs. There is nothing like it. It's a path to freedom. I am at the point that doing this on my own is easy. Do not get me wrong trading is hard but the Trading Challenge has given me the tools to be able to search the web, scan, find good set ups to trade, etc which makes trading much easier. Eventually reach 100k Profits. I will not force trades to get there though just got be patient and trade the right set ups and I will get there eventually. Be one of the biggest Success Stories from the Tim Trading Challenge. Kroyrunner status. Be invited to speak at next years PennyStocking Conference. I've read a few of your blog post and seen some of your you tube videos. Thanks for the information. I've just joined the challenge 3 weeks ago and so far it's great, although a bit overwhelming. I have not traded yet, but I'm patient. I'll look you up in chat to discuss plays strategies etc! Are you join going to PSC? Better to just email if your trying get in contact with me. No longer in chat. Not going to PSC. Out on my own doing my own thing now looking to help others. Congrats on your hard work and success! Thanks man I appreciate it. Hope all is going well for you too. I have a question. Do you have any economic background? And also congrats with your succes! But anyway, there were two people who I thought were worthy to be considered for the duck at the time: you and a trader in TimAlerts who is a former hedge fund analyst (I didn't know that at the time) and who shall remain nameless because he has gone on to work with me on some very interesting non penny stock projects. Some day I'll write a post explaining all that. But the point is that how a person thinks about trades and what questions they think to ask is a major factor in whether they will become successful. Thanks Michael appreciate all the help along the way. That is a nice Duck by the way. Now I can only wonder if I were the one to have received the Duck would i be at 500k in profits like Kroyrunner. I guess we shall never know lol. In all seriousness though your dead on about "how a person thinks about trades and what questions they think to ask is a major factor in whether they will become successful." Thanks again though it really was your webinars mainly that made everything click for me. Again this could not of been done without you. I'm send you my ThinkorSwim trading Monkey so you can abuse it in a future youtube video lol.